At first, it’s hard to know whether to take the company known as Princeton Satellite Systems (PSS) seriously. For one thing, the PSS offices, a few rooms in a nondescript building in nondescript Plainsboro, N.J., right above the Sugar and Sunshine Bakery, don’t exactly suggest the imminent conquest of the final frontier. The company’s ambitions, by contrast, certainly do — but those sound so crazy that you have to wonder if they’re serious. This team of a half-dozen or so scientists and engineers is determined to send human beings to Mars, launch robotic probes to the outer solar system, send missions to Alpha Centauri and more, and do it all with rockets powered by nuclear fusion. You heard that right: fusion. It’s the energy source that makes stars shine and that plasma physicists have been trying to tame for more than 50 years — so far, despite ever more gigantic and expensive machines, in vain. Controlled fusion could power the entire planet with energy free of carbon emissions and with negligible radioactive waste, but it’s proved so difficult to pull off that a commercial reactor won’t see the light of day for decades to come at the very soonest. Nonetheless, the folks at PSS think they might be able to build a fusion-powered rocket motor much sooner than that, and they may be onto something. That’s because a fusion drive would have more thrust than its conventional counterparts, but would weigh far less: the fuel itself would add up to just a few pounds, compared with thousands for a liquid-fuel rocket. The extra speed would reduce the danger to astronauts from interplanetary radiation, and it would slash the food, water and other supplies they’d need to bring with them in half. Fusion power could also be ideal for deep-space robotic missions like Europe’s planned Jupiter Icy Moons Explorer (JUICE). Just as with a Mars trip, a trip to the outer solar system under fusion power could be made a lot faster than the eight years it will take JUICE to get there. The fusion reactor could also supply more than ample electricity to scientific instruments and communications gear once the spacecraft arrives, saving engineers the trouble of designing a separate power source. It sounds implausibly good, but it might not be. 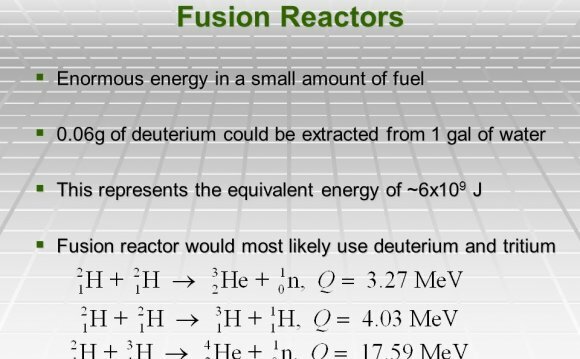 Fusion happens when atomic nuclei, in the form of a hot, charged gas called plasma, are forced to fuse together, releasing enormous amounts of energy. The biggest challenge in getting nuclei to overcome their natural repulsion is to heat them up while keeping them tightly confined. Reactors like the huge one under construction in Europe use radio waves for heat and powerful magnets for confinement. That’s the idea here too, but it took a lot of fiddling with the wirelike antenna that delivers the radio waves to get things up to a high enough temperature. “That wire, ” says PSS reactor designer Samuel Cohen with unalloyed pride, “represents my entire career.” The familiar torus-shaped magnet that’s used in most plasma reactors also had to be straightened out so it could be used in the new system. Those adaptations and others make the PSS reactor a lot smaller and cheaper to build — in principle, anyway. “We haven’t even produced a burning plasma yet, ” says Paluszek, which means they haven’t achieved even minimal fusion, although they have built machines that demonstrate confinement and heating at a subfusion level.